I recently canvassed a favourite issue of mine - namely the need to time your punching/striking hand at the same time (or a fraction before) your front foot lands in a step. the front foot. The back leg draws up later. As you'll recall I first raised this in my article "Xingyi stepping vs. karate stepping" as a means of discussing some of the particular technical approaches used in the internal arts of China. I principally did so as part of my drive to explain that these arts actually have some genuine, quite advanced, fighting methods that rely on simple, unadulterated physics - not "woo" (ie. "qi" or some other supernatural/paranormal phenomenon) as many people unfortunately seem to think. I followed this up with my article "Giving away the big secrets" in which I discussed one major reason why this was so important: because it uses your stepping momentum in the most efficient way possible - utilising your whole body mass behind the punch. Put another way, as soon as that front foot lands, the brakes come on. So if you punch after you step, you'll be punching after you've applied the brakes. Less velocity means less momentum, which means less applied force. The physics are really quite simple. 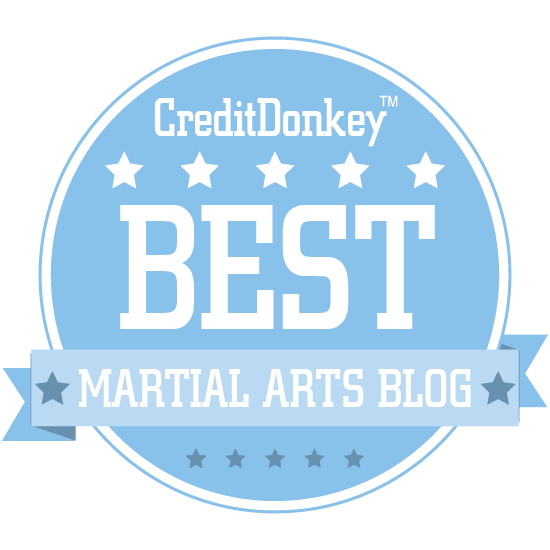 Lastly, in my most recent article "The fundamental problem with karate?" I discussed how timing your hand with your front foot had another, arguably more important function - in eliminating telegraphing and lost time: if you step up to someone, then try to punch him/her the person will stop the punch from landing. The millisecond you take to punch after "arriving at the scene" is about the same as your opponent's reaction time. You can't give that sort of time away if you want your techniques to work. However the other observation I made in that article proved more controversial: I argued that punching after stepping was a common feature in how karate is practised (at least in the modern era). It's fair to say that I copped a bit of flak here and there for making this observation. Some admitted it was common in karate - but felt I was making a mountain out of a molehill (I disagree - for all the reasons I've previously stated). Is punching after stepping really "karate"? "[R]eferencing the problem as a fault with Karate as opposed to a deficiency in the way some teach it is a mistake." Sakamoto sensei's incredible performance of "anan"
In other words he was saying: "This is not "real karate"; rather it is "karate done badly". Certainly when I wrote the article I was being deliberately provocative in my title (as I am being, to some extent, with the title to this article); I didn't mean to imply that it is a problem with karate as much as it's a problem with the teaching of karate in some (actually, many) schools. However I need to be clear on one thing: I didn't mean to imply that such teaching a "two count" version of karate was always "wrong". Rather, I meant to say this teaching was basic. Basic training is important. Unfortunately many seem to be teaching this basic training as "senior training". And when I say "many" I really mean this. It is more than a select few karateka who "punch, then step." It's actually nothing short of endemic. It is in virtually every kata - from ryuei ryu, to goju ryu, to uechi ryu to shorin ryu. It is really part and parcel of karate practice. Every karate style has it. Consider the adjacent image of Sakamoto Tsuguo performing the ryuei ryu kata "anan": a clear case of "step up, then punch". Unlike the xingyi example above, the punch isn't timed with the front foot. If anything, it is timed with the rear foot dragging up - ie. well after the front foot has landed. 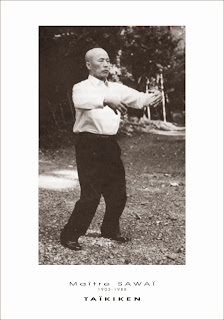 The photos of Sakamoto offer quite a stark contrast to the earlier xingyiquan example. 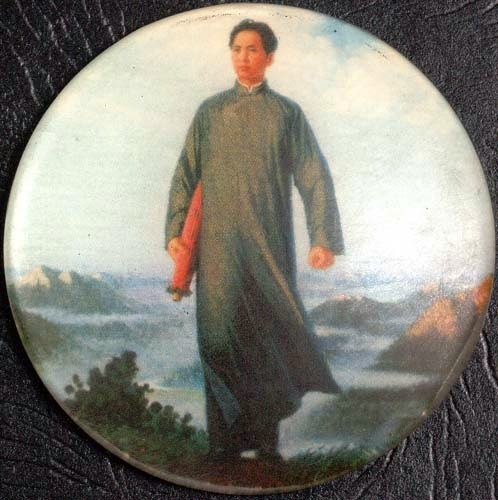 For all the faults (from a combat perspective anyway) in the way xingyiquan is commonly practised, in this timing respect the exact opposite of karate is true: the timing of the strike with the front foot landing is regarded as standard. Don't believe me that the "step up, then punch" really is the "norm" in karate (rather than the exception)? 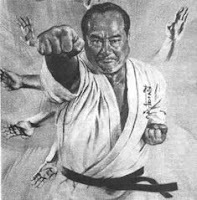 Let's consider different examples of what is arguably the "universal" kata of karate - seisan. Here I am demonstrating the kata in 1993. It is, I think, a fairly representative performance of the kata in most goju schools (barring some small differences). The one thing you can be assured is consistent across the various schools is the "step, then punch" timing that I employ. As with the gojuj and shorin versions, there is a clear "step, then strike". There is simply no ambiguity about this. Is it just in karate - or is it in the Chinese arts as well? This raises the question: Is this timing an Okinawan innovation? What might any Chinese ancestral forms of seisan (assuming they existed) have looked like? I really don't know the origin of the form below. It looks distinctly Chinese "in flavour" and is obviously related to the uechi version of seisan, albeit it almost certainly too close to uechi ryu seisan to be the "original" (forms never retain this level of fidelity over more than 100 years and especially after transmission between different cultures!). Whichever way you look at it, one thing seems fairly certain: the the stepping, then punching doesn't look out of place or or otherwise "non-Chinese" in this form. Indeed the other nearest "seisan relative" I've found on the Chinese mainland also has precisely this "step, then punch" timing. The form I'm referring to is Yong Chun's "shr san tai bau" (thirteen treasures). Note that the "step, then strike" underlies practically every single move. And the same can actually be said of every white crane, Hakka and other Fujianese - indeed external southern Chinese - form. In other words, the Okinawan karate model of "step, then punch" is nothing new. It is appears to be based squarely on the Chinese models that probably influenced karate's development. So what's going on here? Why have these various arts and schools adopted a "less than optimal timing" of strikes and steps? I think the answer is simple: it comes down to priorities in teaching/learning. Here's the thing: the other night at training a senior student was being examined on material relevant to a teaching qualification. The issue of this timing arose - especially as regards teaching white and green belt kata. The question was asked: "Should I be stressing the hand and foot timing thing?" The answer from my brother and me was a resounding "No!" In karate, beginners and intermediate students (ie. those under black belt) need to focus on fundamentals. If they are too obsessed about how these fundamentals fit together, they will never get the individual pieces correct. 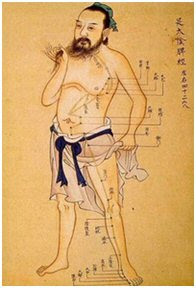 Southern Chinese arts are taught similarly - with a great deal of emphasis on correct, optimal movement. This is achieved by grooving those movements - in isolation initially. It isn't just limb movements, like blocks, punches and kicks, either. It's learning (over many years) important skills like grounding. This is achieved through stances. When you learn about stances, you're not only concerned with their form but how you've effected your posture, tension and relative relaxation of certain muscles in that form. It's also about how you move between stances; their function as snapshots of transitional positions. It's about your stability and efficacy in the process of transition. It's about understanding optimal transfer of momentum - for evasion and counter attack. You simply can't expect to get your limb movements or your stance/posture/grounding correct when you're busy obsessing about timing them correctly together. Particularly when this timing is actually very hard to do. It is so hard, I consider it to be an advanced skill - in other words, it takes a long time to master and it isn't the first thing you need to worry about. In our school that hand and foot timing is basic! 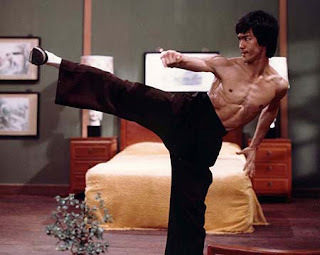 "In the style of karate I have studied for the last 25 years , this is very basic. Even white belts are taught that hand and foot " finish " at the same time." I replied that this was good to hear. Until relatively recently I probably would have said the same thing. Indeed, from my earliest trainings I was taught that the "step then punch" was for beginners. "When you get to black belt, your foot and hand will move together," was something my karate teacher would often tell us. I never forgot this. It was imprinted in my brain as "true karate". But this didn't mean that when I eventually got to black belt I somehow found myself timing hand and foot together "naturally". Far from it. Rather, it was only when I started studying xingyi in earnest - about 10 years ago - that I realised my "fairly good" hand and foot timing was actually always off. By xingyi standards it was still clearly a two count movement. Likewise, many people in the karate world don't even seem to notice that what they perceive as "at the same time" isn't anything like that. I think this is attributable to the fact that most of us karateka, regardless of our experience and seniority, still practise our kata and isolated movements in a "two count" fashion - especially when we are working slowly. Anything less obviously "two count" is regarded as "the same time". But it isn't. Consider the adjacent pictures of world champion Luca Valdesi (he was just the first performer I came to when searching for "karate kata" in Youtube, so I'm not trying to pick on him!). I've embedded the video from which the pictures were taken below. You'll note that in every instance of "slow" movement, Luca doesn't even attempt to time the hand and foot together. 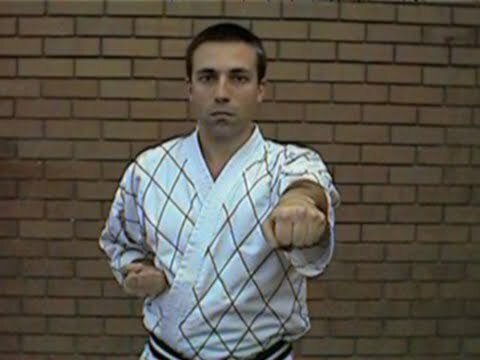 As with the seisan examples, he follows the standard, basic karate pattern: step, then punch/strike/block, ie: he follows two very distinct counts. But then you'll notice everything seems to change when Luca puts on the speed. Hooray! Just as my teacher predicted all those years ago, the "advanced karateka" seems to be timing his and and foot at the same time! Okay, his incredible physical skill makes up for this - so arguably it doesn't matter too much. But it still isn't a true "one count". I'm not trying to be critical - simply pointing out that what people perceive as "same time" actually isn't. I've been teaching this for many years now and I'm used to disbelief. It's only when I film students that they really accept that they are still doing a "1-2" (and it's usually more pronounced than this very subtle two count by Luca). Getting a true "one count" is very difficult in my humble opinion. The hardest part is getting the last few milliseconds right. It is far from "basic". But the fact remains: this is not a true "one count". The foot has come down before the punch has landed. And the moment the front foot reaches the ground it starts to brake the body. Okay, does this all really matter? From the perspective of what "advanced karate" should be, I think it does. Luca is a world champion. And we are entitled to hold his performance (and those of his rivals) up to the highest standard - and grade these performances accordingly. 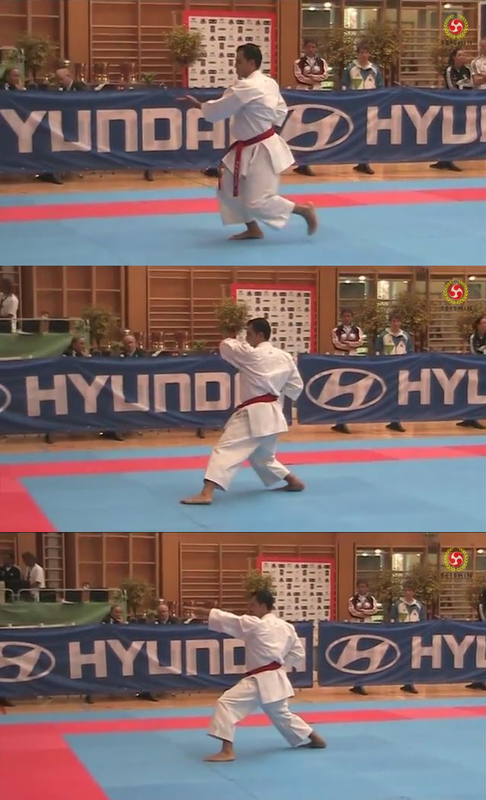 His timing should be as near to the "ideal" as possible - whether in kata or kumite. And, as I've discussed, the ideal is that the hand should land a fraction before the foot does. At the very latest, it should land at exactly the same time as the foot (which I've noticed is the usual default of students who finally manage to get this timing correct). Luca is, however, tending the other way. Compare his performance to how, say, Lyoto Machida strikes while stepping in MMA. What you'll notice is that the punch is always landing while Lyoto is in full flight - just before, or at the very latest at the moment - his foot lands. Obviously not all punches are thrown when stepping. 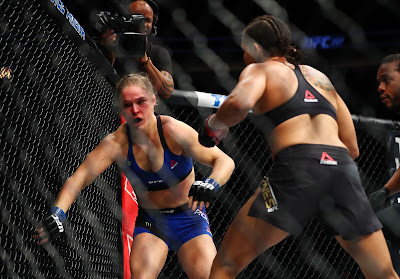 In many cases punches are thrown from a more or less standing position. In that case bodyweight transfer, rather than foot landing, is the key. 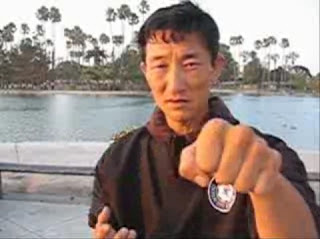 For example, taiji stresses techniques landing at, or just before, the full weight transfer is completed. But in the end weight transfer and stepping are not really different issues; steps are just bigger weight transfers. Aside from jumps, they are the weight transfers that carry the most momentum - ie. they deliver the most powerful punches/strikes etc. But they also risk the most telegraphing and take the longest time. And remember that even a 0.1 second time lag between your foot landing and your punch landing can make all the difference between you hit your target or not. Given all of the above, why on Earth would anyone risk practising a step and punch as two distinct actions? It is actually very, very hard to get used to punching while your body mass is still in flight. This skill isn't to be taken lightly as "basic" (ie. "even our white belts do this"). It takes some practise. And there is a big difference between mastering this and getting it "almost right". So when it comes to Luca, please be aware: I'm not trying to be critical of him as a performer. He's doing what most karateka are taught to do. He is basically performing the kata according to the current standard. And he's doing an amazing job. He is nothing short of phenomenal (although I think Rika Usami is better!). I'm merely illustrating that how we train affects how we perform. Luca is, like most of us, doing his slow movements in the "basic karate" way. Why is it so surprising that he doesn't achieve the optimal timing when he steps quickly? My observation above should be all the less surprising when you consider that this hand and foot timing thing is darn hard. I should know: I've been doing my best to get it right for more than a decade, especially in xingyi. 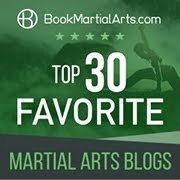 In that art, hand/foot timing is (I think) hardest in the context of "zuan quan" (the "drilling fist" - a rising inverted strike like that found in naihanchi shown in the video below at 0:19 and 0:24). I'm not sure why this is: I think it has something to do with one's natural inclination towards associating a rising motion with the rear leg. It takes a while to realise that the forward movement is a bigger part of the force component than the rising movement. 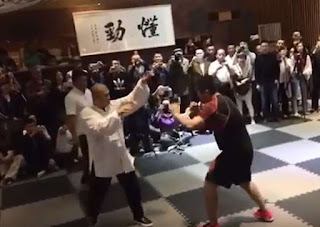 Regardless, the difficulty associated with learning zuan quan in xingyi explains why even fairly senior martial artists can get the timing wrong. Of course, I can't claim to be senior, but I have been practising this stuff for decades - yet I occasionally still get the timing wrong despite my best efforts. For example, if you look closely at the above video you'll notice that the first zuan quan (0:19) isn't timed as well as the second (0:24). When I get it right, I feel it though; and I think the force is also visibly greater. I certainly notice when I hit things with it. In future articles, I hope to explore the more intricate details of hand and foot timing. So far, I've been focused on the basic step forward (be it a lunge of the front foot or step through, with legs passing). 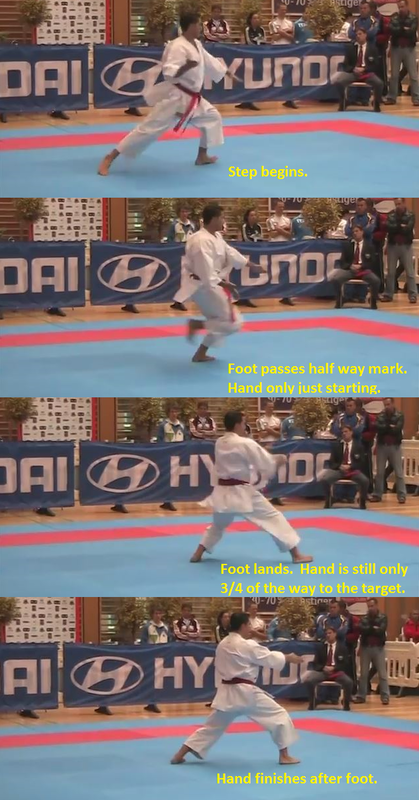 But arts like xingyi also teach you lessons about timing when stepping back, or simply swapping legs on the spot (which is a totally different kettle of fish) - or any variation in between these possibilities. Basic training patterns are still being used in daily training by senior practitioners. These very basic training patterns are particularly (or perhaps entirely) found in solo performances (ie. kata). While there are very important reasons to train beginners and even intermediate students in a "two count" paradigm, there is simply no good reason to perpetuate this practise well into the the dan grades. I think more experienced students must move towards optimal timing in solo practise. Put another way, there is no good reason for solo forms to be timed in a way that is antithetical to how we would apply the movements against a resistant opponent. We shouldn't have to "modify" our karate in terms of how we do solo forms and how we apply these against an opponent - at least not in respect of hand and foot timing. If we persist with a "timing division" between kata and kumite, we risk invalidating the practise of kata as anything other than the most basic training. At best, it will serve as nothing more than a kind of "encyclopaedia" of isolated techniques and applications - without providing any clue to application in movement (what I've called the "dynamic context"). At worst, it will groove movements that are entirely sub-optimal - indeed unworkable - against a resistant, never mind real, determined, attacker/opponent. Lest I sound too critical, it is important to note that I think this flaw coincides with karate's/gongfu's greatest virtue: perfecting fundamental skills. I say this because when push comes to shove, it is likely that your fundamental skills are the ones that will count the most, particularly in civilian defence. However it is also important to remember that timing of hand and feet is another fundamental skill. It is the skill that we should use when combining our other fundamental skills and applying them in a dynamic, resistant environment. This skill might be secondary to grounding and correct form but it is still vital. I think it's time we karateka and gongfu practitioners paid due attention it. Hopefully this will explain to some of my critics why I chose to perform suparinpei recently in the manner of the above video - and why I titled that video by reference to "internal arts timing". It has to do with the timing of the steps and weight transfers (including on the turns). I will deal with the specifics of the kata performance in another article.